Styled with leila bodysuit . The Wilfred Free icon. This version is made with a comfortable stretch fabric that's super soft and contours to your body. Oh, and the high waist makes your legs look a mile long. This product is NOT stretchy, and NOT tailored to fit well. Made too small, and waist and hip circumference do not make sense. 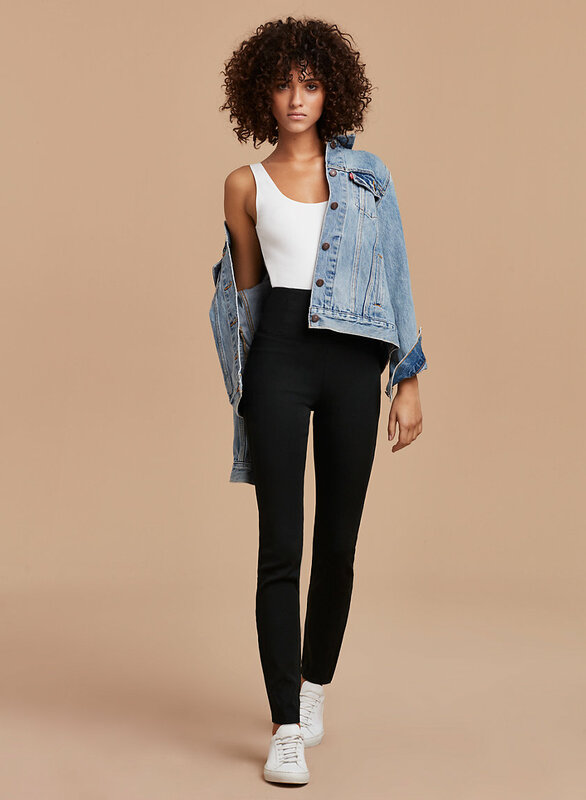 I have the leather version of these pants- and that fit is amazing. Stay far away from these pants- even if they were free I wouldn’t add it to my bag. I love the daria pants. I did have to size up. I wish they came in more colors. I typically wear a size 26 for pants, but I sized up to a 6 based on the other reviews here. I wanted to like these pants, but the fit just did not work for me. The bigger size fit my waist and hips pretty well but not my legs - I found it bunchy and unflattering. It was also hoping for more of a legging fit since I found these while looking under the "legging" category, but IMO they were more of a straight leg. These pants are way too small. The legs are extremely long and the waist is not true to size. 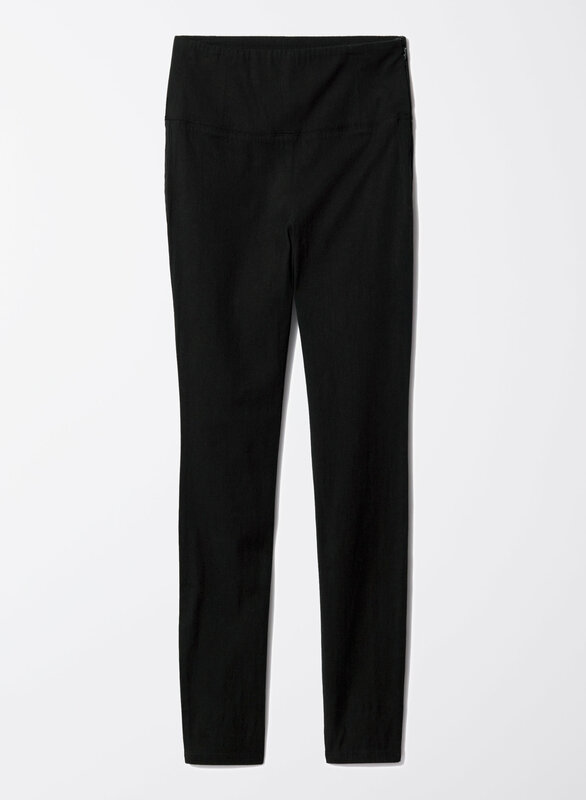 Aritzia has serious problems when it comes to sizing and these pants are a perfect example of that. Fit is not true to size.